Developmentally, toddlers are learning their place in the world and that they are separate and unique individuals. At the same time, they feel a very strong need to remain closely connected to loved ones. A family Wish Well Ritual helps to keep these connections strong while nurturing a sense of empathy and inner calm. 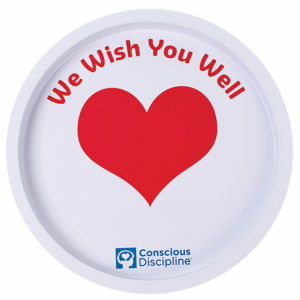 Families can use the Wish Well Board from Conscious Discipline or a homemade one. The process for wishing well includes taking three deep breaths, filling your heart with love, and then sending that love to another person. Wishing well generates an internal cascade of feel-good neurochemicals and hormones that boost positive feelings. Your Wish Well Ritual is easily incorporated into your morning routine as part of a Brain Smart way to start the day.